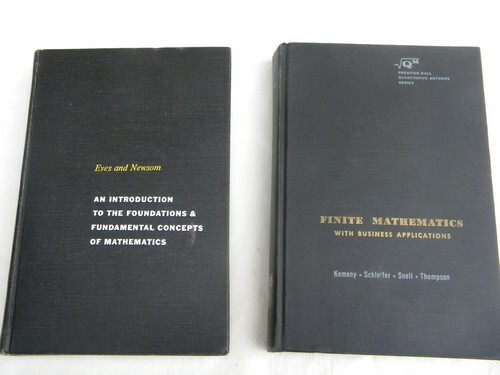 Large lot of vintage textbooks on assorted advanced mathematics topics. 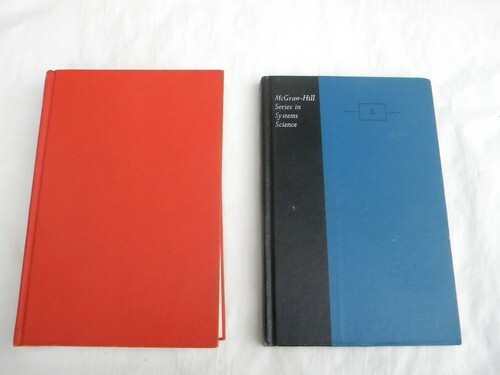 These are from the estate of a self-taught electrical engineer and would make a nice edition to your technical library or homeschool curriculum. 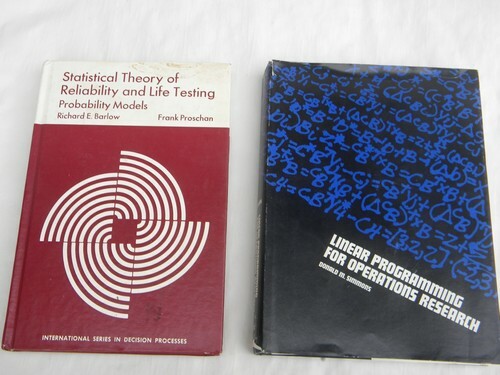 Linear Programming for Operations Research by Donald Simmons - 1972 with 288 pages and dust jacket. Complex Variables and Applications by Ruel Churchill - 1960 with 297 pages. 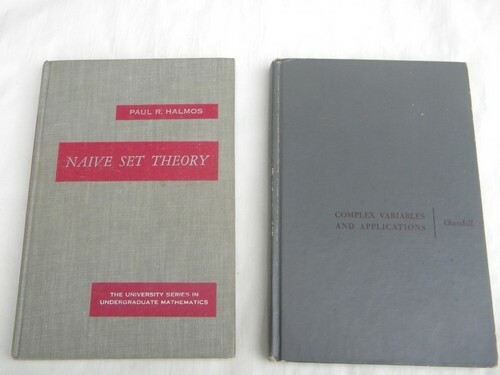 Naive Set Theory - The University Series in Undergraduate Mathematics by Paul Halmos - 1960 with 104 pages. Finite Mathematics with Business Applications by John Kemeny, Authur Schleifer, J. Laurie Snell and Gerald Thompson - 1962 with 482 pages. An Introduction to the Foundations & Fundamental Concepts of Mathematics by Howard Eves and Carroll Newsom - 1958 with 386 pages. 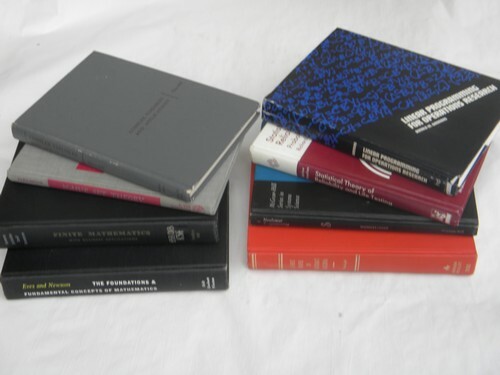 These books all have some wear and use. A number of them are ex-library and / or have names inside the cover. A couple of them have underlined or highlighted passages.